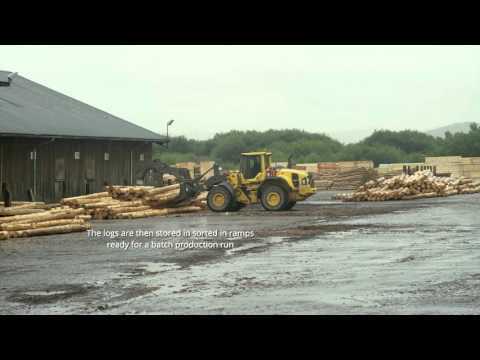 Newbridge Sawmill is located on a 10 ha site in the heart of Wales close to the spa town of Llandrindod Wells. The sawmill can process lengths from 3.0 - 4.8 metre lengths and operates on a treble shift pattern. Annual input is 260,000 cubic metres of roundwood and it produces 150,000 cubic metres of sawn timber.